Facebook Audience Insights is one of the most powerful analytical tools at your disposal -- that is, if you know how to use it. Accessed through Facebook Ads Manager, Audience Insights is free to use and provides a huge amount of demographic and behavioural data about your audience and that of your competitors. This tool was created to enable advertisers to target their ads more effectively, but you can use this tool to learn about your audience, even if you are not advertising to them. This data can help you improve your overall Facebook marketing strategy, including stronger buyer personas, more compelling content, and more insightful competitive research. Self-reported Facebook data: This is the information given by users when they fill in their profile information, including age, gender, relationship status, job title, location, Page Likes, etc. Third-party data partners: Information such as household income, purchasing behaviour, and home value is also available through external companies that match that data to Facebook user IDs. It is worth noting this information is only available for U.S. audiences. At Zazzle, we use this data all the time to help build out stronger content strategies. So in this post, we're going to give you an overview of how Facebook Audience Insights works and give you tips on using it in your marketing. 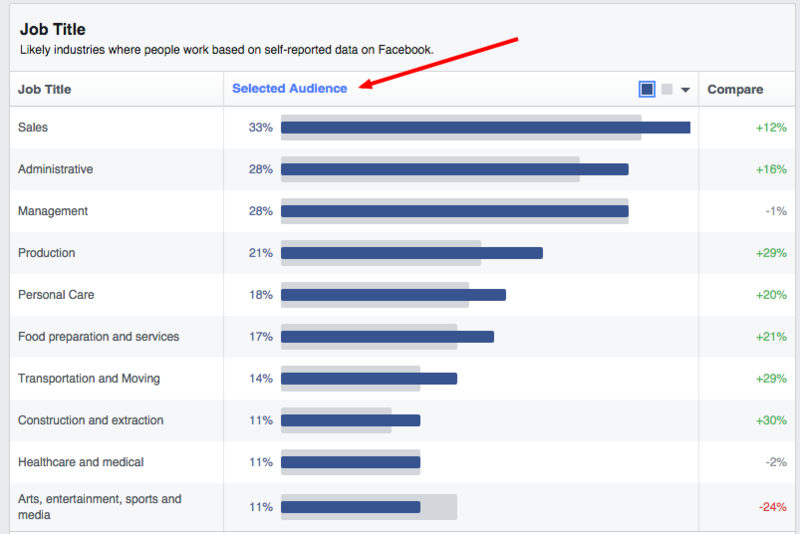 To access this tool, simply head to your Facebook Ads manager and click on ‘Audience Insights’ in the left-hand menu. To explore the tool, follow along with the steps below. People Connected to Your Page: This option directs you to select your own Facebook Page from all the Pages you manage. This is useful to understanding your existing audience. 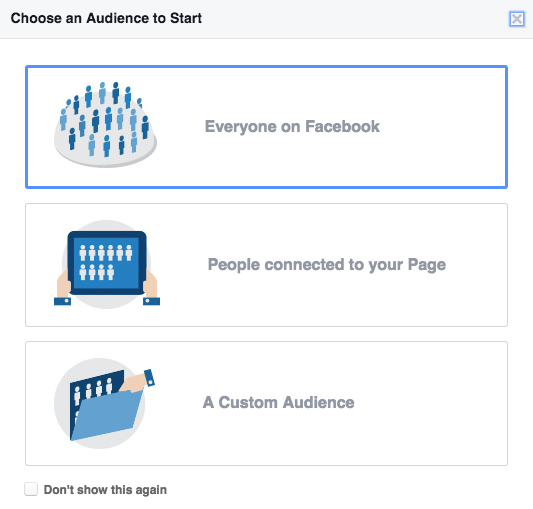 A Custom Audience: If you are already using Facebook Custom Audiences you can select an existing audience here. To create a Custom Audience, you'll have to upload a list of email addresses. Facebook will then match those email addresses with user accounts. If you have a lot of customer data, this is a really powerful tool that enables you to understand demographics and behaviours of people you know are already using your brand. By selecting the ‘Everyone on Facebook’ option, you will be taken to the screen in the next step. Step 2: Select your segment's parameters. In this step, you want to put in the identifying characteristics of your audience. As you can see, the location default is United States. If the audience you want to look at is U.K.-based (or any other country), you can change this by typing in the location box and selecting the appropriate country. For the examples in this post, we will use the United Kingdom for our audience location. By selecting "United Kingdom" from that drop-down, it will be added to the list. But if you want to remove the United States from your analysis, it's easy. Just hover over the United States, then select the X to remove it from your screen. 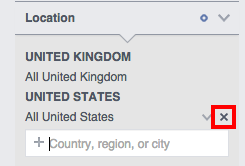 You can add as many countries as you wish here, or leave it blank to look at Facebook demographics across the world. Using this menu on the left-hand side, you can now segment your audience by age, gender, interests, people connected to your Page, and more advanced data such as behaviour, language, education, work, etc. The Interests option is a great way to uncover competitor or industry information. You can search for interest groups here or specific Pages. It is worth mentioning that not all Pages will appear here. It usually depends on size of the Page, however there is no definitive logic to this, as some Pages with 20,000 Likes may not appear, while a Page with 2,000 might. The best thing to do is to have a list of Pages and interests, and simply enter them into this box to see if they appear. If the specific Page you want to enter has dots or other symbols in the Page name, then omit them when entering the Page. Let’s take eBay as an example. We want to look for the audience of the U.K. Page, which is called eBay.co.uk. 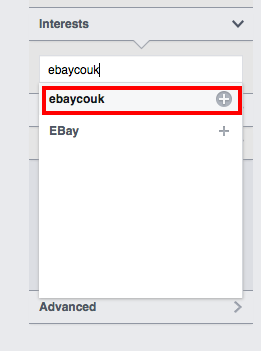 If we enter ebaycouk into this box, you can see it appears as an option to select. We have now created an audience of people who like ebay.co.uk and are located in the U.K. Step 3: Explore the data. Now that we have created our audience of people in the U.K. who like eBay.co.uk, we can begin to explore the data and understand more about this group of people. *Note: The last two are only available to data including U.S. audiences, so are not clickable when looking at a U.K. audience. The demographics tab includes information on age, gender, lifestyle (U.S. only), and relationship status, education and job title. Looking at our eBay.co.uk audience, we can see that we are looking at a monthly active audience of 1 – 1.5 million people, as highlighted below in red, meaning that we are looking at a significant pool of data. If this monthly active audience has fewer than 1,000 people, no data will appear here. We can see from this that 61% of the eBay.co.uk audience is female, compared to 51% of all people in the U.K. on Facebook. We can also see that most of these are in the 25-34 and 35-44 age bracket. This data is highly valuable when creating personas and planning content to engage the target audience. Throughout this process you can segment further by clicking on the left-hand menu. For example, if you wanted to just look at the female segment of this audience, you can select this on the menu. This can be done for all of these options (age, gender, and more advanced options including language, relationship status, job title, etc.). We can also see the most likely industries that a fan of eBay.co.uk will work in. 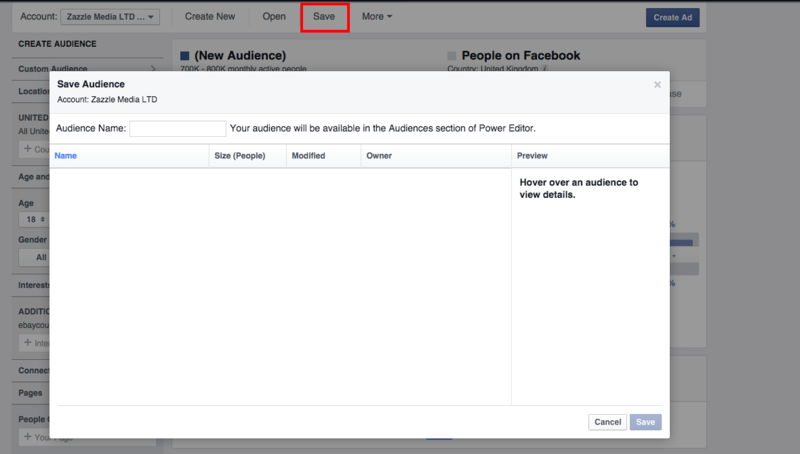 This is sorted by default for those that over index compared to the average Facebook audience, however if you click ‘Selected Audience’ you can sort this by size of the audience. This data shows that a fan of eBay.co.uk is most likely to work in sales, admin, management, or production. 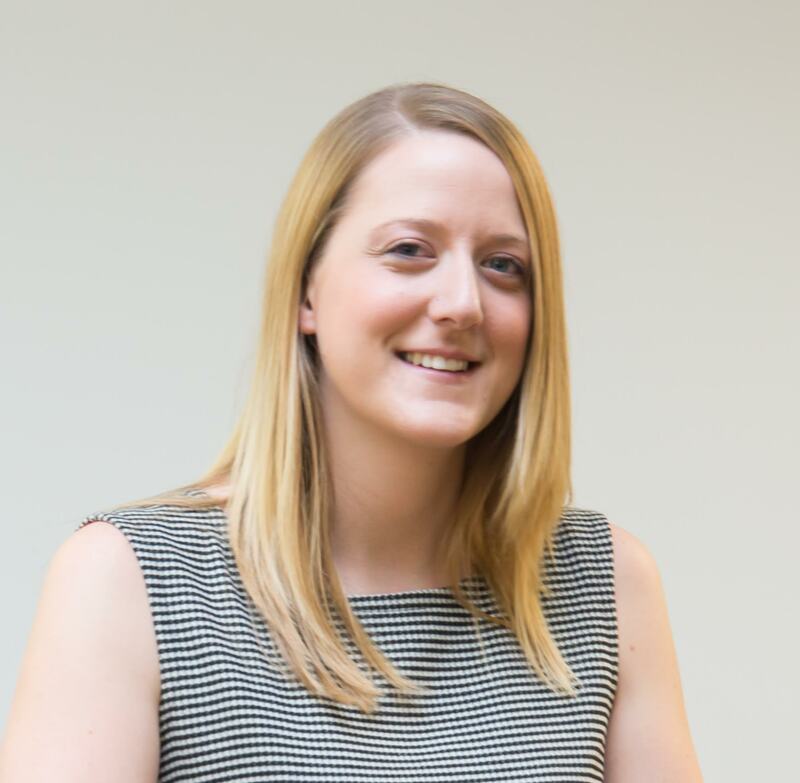 This information is invaluable when creating content marketing personas, enabling us to build a data informed picture of our potential audience. The Page Likes tab is split into two sections. The first section details the top categories of Pages that the selected audience likes along with the top Pages within those categories. Taking our eBay.co.uk audience, we can see what else they Like on Facebook to build a picture of their interests and lifestyle. We can see that there are a lot of household name brands in this list, including Nurofen, Samsung, Febreze, Tetley Tea, etc. These are mainly affordable, with no ‘luxury’ brands appearing on this list. 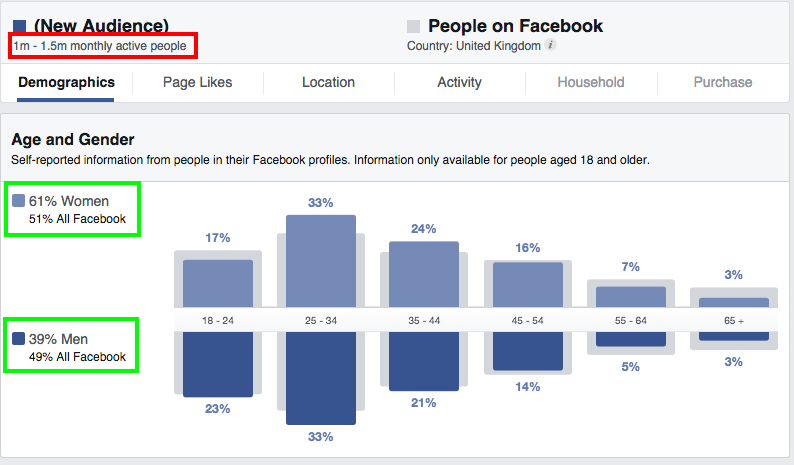 The second section outlines the specific Pages that this audience is more likely to Like than the average Facebook user. In eBay.co.uk's case, this list is dominated by affordable household brands. You can use this data to understand the type of person who is likely to Like eBay.co.uk and what else they are interested. 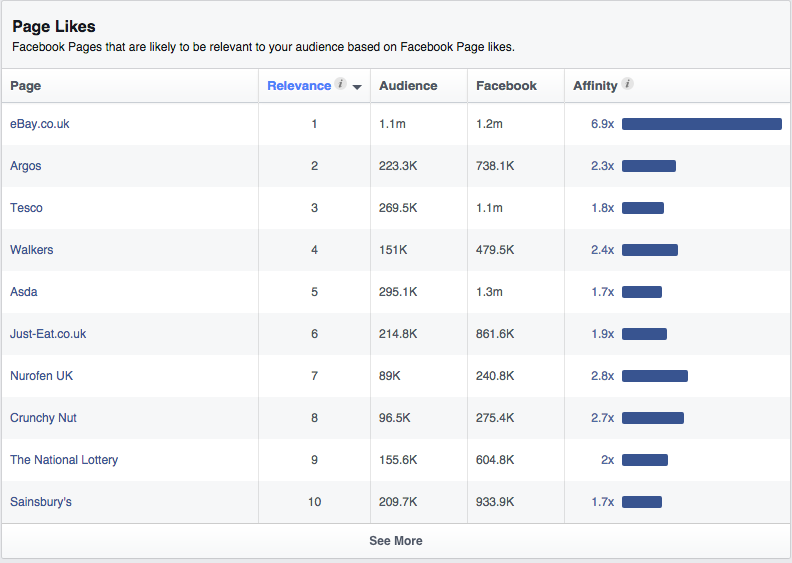 Check out all the Pages on this list to see what kind of content your audience likes to receive on Facebook. The third tab available is Location. Within this tab, you can see Top Cities, Top Countries, and Top Languages. As we already have this data filtered to only include U.K., the Top Countries tab will only show United Kingdom. The Top Cities tab gives us an idea of where in the U.K. this audience is based. If you have a regional business, this data will be able to tell you if your Page (or competitors) is reaching the right audience. Again, this is sorted by default to the areas that over index compared to the Facebook average. Click on ‘Selected Audience’ to re-sort by most popular cities based on volume. As would be expected due to the high population of the area, the majority of this audience is in London. Interestingly, this is 32% less than the Facebook average. Also, there is a fairly even spread across other major U.K. cities for this audience. The final tab available to us when looking at U.K. Audience Insights is Activity. 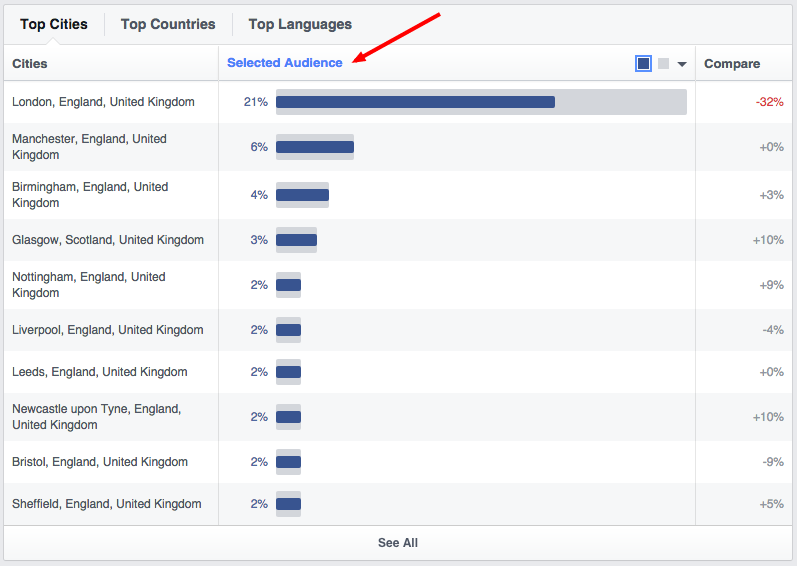 This information helps us understand the behaviour and activity of this audience on Facebook. Frequency of Activities: This data shows user activity in the last 30 days. Here we can see the average number of Pages Liked, alongside number of engagements (comments, Likes, shares, ad clicks) made in the last 30 days. Device Users: The type of devices used to access Facebook, split between mobile and desktop, and then further drill down into the specific device. By looking at frequency of activity, we can see how active this audience is on Facebook. This helps inform us as to if this will be a worthwhile platform to target and engage the audience. 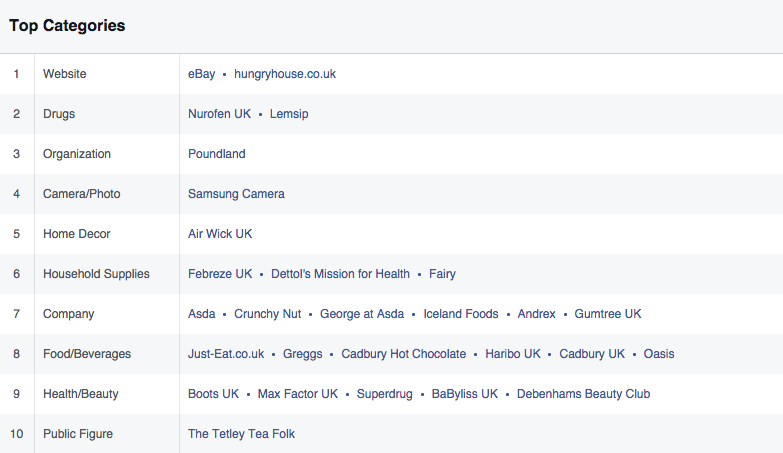 We can see that the average fan of eBay.co.uk Likes 45 Facebook Pages. While this shows that they are active on this platform, it also means that Page content must stand out to be engaging due to a lot of competition from other Pages in the user’s News Feed. We can also see that they are more likely than the average Facebook user to engage with comments, Likes, shares, and ads. The second data category available here is the devices used by this audience to access Facebook. There are 2 options ‘All Devices Used’ and ‘Primary Device’. By selecting ‘Primary Device’ we can see whether this audience are more likely to use desktop or mobile, alongside the type of device. We can see that ‘iPhone/iPod’ and ‘Android’ are the two most popular here. Interestingly, Android use is 35% higher than the average Facebook user. This information is key when creating content to share via Facebook in that it must be compatible with these devices. Step 4: Save your audience. After capturing all of this data and using it to understand your audience and inform personas and content ideas, you can save this to refer back to, or use to better target your Facebook ad campaigns. Simply click on ‘Save’ at the top of the Page and you will be given the option to name your audience. This data can then be found in Power Editor and selected within your campaigns. You can also use the Open option to the left of save to access a previously saved audience. 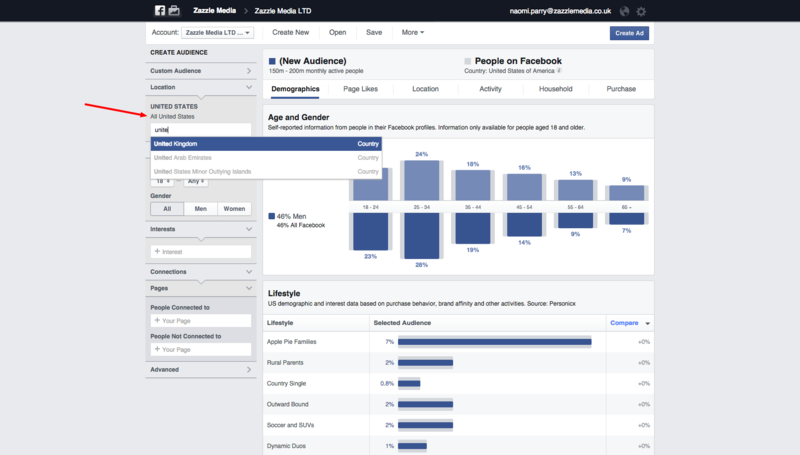 The Facebook Audience Insights tool provides access to highly valuable demographic and behavioural data, enabling you to learn more about your audience and potential audience, using information they have provided themselves to Facebook. 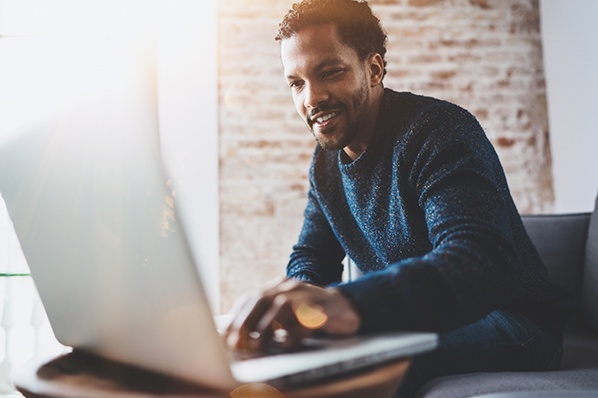 Using this data to not only target your advertising campaigns more effectively, but also to build personas and inform content marketing ideas should be an important part of making sure your strategy is data informed. What do you think? Do you use Audience Insights to understand your audience and inform your content marketing strategy? Let us know in the comments below.